Calling all Seniors, who are looking to learn more about being a sorority woman! We have the event for you! 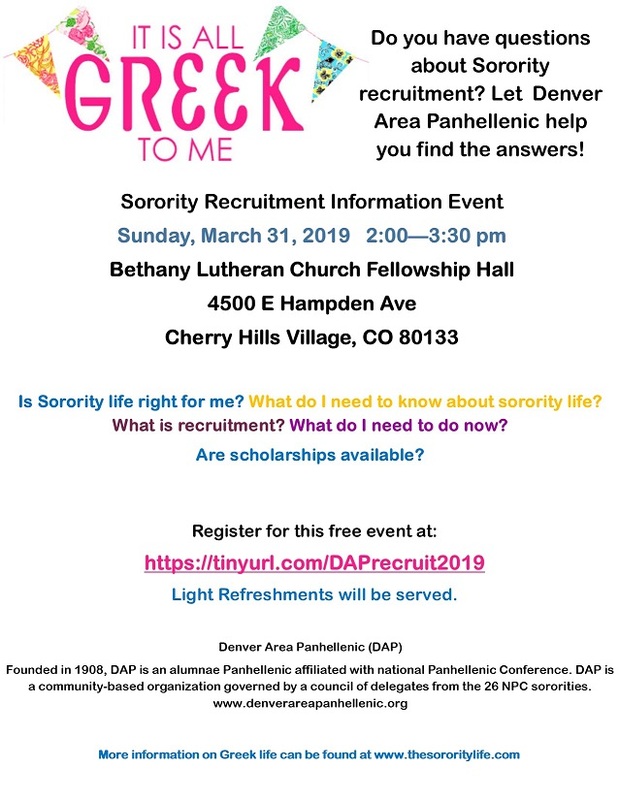 Join DAP on March 31st at 2:00 to meet sorority women from the Denver area. Please register here so we know to look out for you.